On numerous occasions, whenever the topic of tequila comes up in conversation, a look of horror emerges on the face of the person I’m talking to. They don’t need to explain the look, because I completely understand what brought it on: Tequila PTSD. I’ve experienced it once or twice, and I’m sure I uttered the words “I’m never drinking again!” after waking up with a tequila induced hangover the next morning. Most people tend to blame whatever they were drinking for that hangover (how many times have you heard someone say, “I can’t even stand the smell of tequila anymore!”? ), but that’s like blaming your car’s steering wheel for hitting the guardrail while you were sending a text message. It’s not the tequila that made you sick. It’s not paying attention, and drinking way too much, way too quickly that’s the culprit. You know that Cuervo Gold that you used to drink in college and during Happy Hour when you first started working full time? Avoid it like the plague. There are only two ways to enjoy that stuff: shots and crappy Margaritas, which are both a one way ticket to Hangoverville. My advice: avoid shots and cheap cocktails at all costs and learn to savor your drink. But before you can do that, you’re going to have to step up your game and start ordering better booze. To fully experience Santera one must travel beyond the spirits realm. Santera is more than a liquid within a bottle; it is a world of elemental extremism: fire and water, violence and serenity, abundance and barrenness, light and dark. It extends beyond taste to a visible and audible medium. Appearance: Very pale color. Think vodka or gin with a slight yellow hue. Aroma: It definitely smells like tequila thanks to that fresh agave scent. Working past that, I get the slightest hints of lime zest, vanilla, and a touch of salinity. Taste: Very light mouthfeel with a touch of oiliness. Good bit of lightly sweet vanilla at the start. Gets peppery in the middle with the agave notes coming through. The pepperiness builds at the finish with a lingering vanilla, white pepper, and lime zest aftertaste. Why don’t I drink tequila more often? 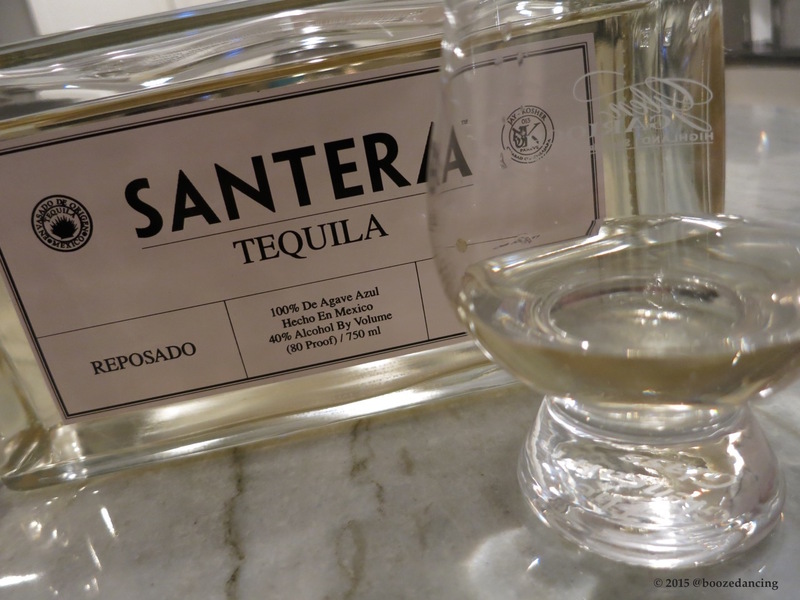 The Santera Reposado was definitely a lovely diversion from the usual beer or whisky. This stuff from South of the Border (i.e. Mexico, as opposed to this South of the Border) is smooth, flavorful, and very easy to drink. 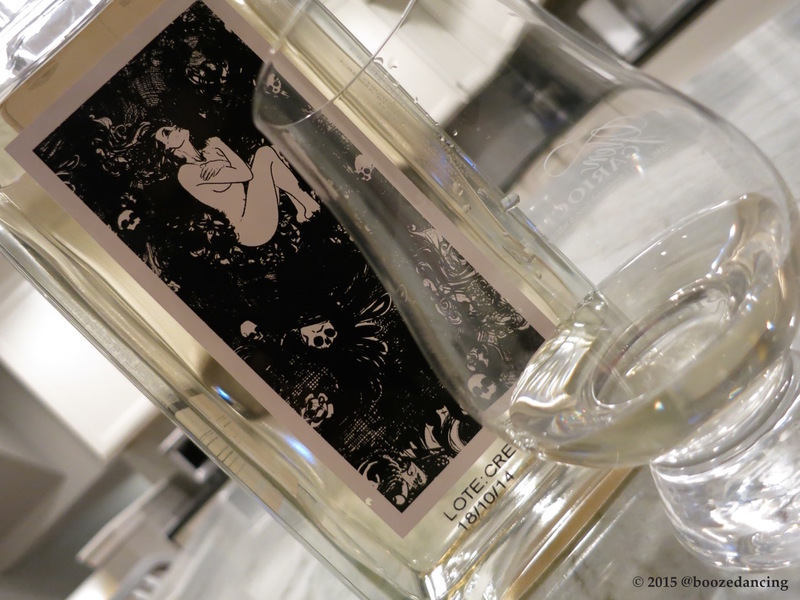 While there isn’t a great deal of depth or complexity (it’s not quite as good as the Casa Noble we tried awhile back), what’s there is really nice and definitely worth trying if you happen to stumble upon it during one of your boozy adventures. Many thanks to Vicki Loo of Exposure PR for sending us this very generous sample!